Henry Harris is a grizzled cop in his 60s. He saw a lot of action in the 1990s while he was a Tactical Officer for the Chicago Housing Authority’s (CHA) police department before it was disbanded in 1999. The Tact Team had jurisdiction over all the CHA housing developments. They were plain-clothes officers who were brought in as extra muscle when crime and violence spiked in any one area. Harris’ patrol often included the Cabrini-Green public housing complex on Division Street on the Near North Side. Although some of Cabrini-Green’s low-rise row houses remain, the last of the notorious high-rises were demolished in late 2010 as part of CHA’s Plan for Transformation to integrate their residents into mixed-income neighborhoods where – in theory, at least – market-rate buyers would live beside subsidized housing and CHA residents in a cohesive community. Harris has his doubts. He shakes his head skeptically. The plan to create a mixed-income community on the Near North Side has been met with an equally dubious reception by those on both sides of the neighborhood’s deep racial and cultural divide – the young urban professionals on the Gold Coast and the public housing residents who remain in the area. There have been reports of friction, mistrust and resentment as the two cultures have struggled to coexist. But Ald. Walter Burnett Jr. (27th Ward) has enlisted the help of Chicago’s Local Initiatives Support Corporation to create the Near North Unity Program. The Unity Program’s mission is to bridge the divide that exists along Division Street. “The catalyst for the project was a conversation between Ald. Walter Burnett the MacArthur Foundation” near the end of 2010, Keri Blackwell said. Blackwell is Chicago’s Local Initiatives Support Corporation senior program officer. The Support Corporation is “dedicated to helping community residents transform distressed neighborhoods into healthy and sustainable communities of choice and opportunity,” according to its website. The Support Corporation accomplishes its mission by mobilizing financial support from large philanthropic organizations like the MacArthur Foundation, which funds the Near North Unity Program. MacArthur is one of the nation’s largest independent foundations with total assets amounting to $5.6 billion as of Dec. 31, 2010, according to an overview on the foundation’s homepage. Burnett “was the prime mover” in getting the Unity Program off the ground, explains John McCarron. McCarron was an urban affairs reporter for the Chicago Tribune before going on to teach Urban Affairs and housing issues at DePaul University and Northwestern’s Medill School. McCarron has also written about the Unity Program’s progress for the Support Corporation. McCarron said that Burnett was impressed by the work the Support Corporation had done with the Black and Latino communities in Humboldt Park. “LISC has done a lot to bring those folks together,” McCarron said. Parts of Humboldt Park lie within Burnett’s 27th Ward. Blackwell said that Burnett was looking to produce similar results in the Cabrini-Green area. But even Burnett admits that these challenges are not going to go away overnight. “It takes time to get people communicating,” Burnett said. He realizes that all the members of the neighborhood need to “get over the stereotypes” before real communication can take place. Not all market-rate homeowners are as encumbered by stereotypes, however. Some young professionals have moved to the Near North Side seeking diversity out, like Ryan Flynn. Flynn owns a condo in the Old Town Village West, a mixed income development at Division and Larabee streets. He bought there, he explains, to make a social statement about diversity. “I knew fully what I was getting into,” he said. When the Cabrini-Green high-rises began to be torn down, Flynn started Cabrini-Green.com as a photo blog to document their demise. The website became an ongoing art project which he continues to maintain today, a year after moving to New York for a job opportunity. “I’m happy I met the people I met,” Flynn said of his time living on Chicago’s Near North Side. But there is still what Ald. Burnett described as the “residue of the old neighborhood,” his euphemism for the gang violence that remains a major safety concern for members of the community. “Division Street is literally a division between two rival gangs,” said McCarron, referring to Chicago’s well-known Gangster Disciples and the Vice Lords. Blackwell said that public safety is an issue that repeatedly comes up the Unity Program’s monthly community meetings, which they have been holding since February of this year. But Blackwell added that sometimes “safety” can be a difficult concept to define, especially as the word is often used by some of the affluent, market-rate homeowners. She relates the story of an old woman at one meeting who stood up and said that she feels “threatened” simply when she sees a group of black men walking down the street. There is plenty of resentment on the other side of the divide, too, according to Blackwell. There is an increased police presence in the Cabrini-Green area now that the affluent residents have moved in. Some public housing residents believe they are being unfairly targeted. Jonathan Skipper has lived in the Cabrini-Green area long enough to remember what it was like before the transformation. “It was better before,” he said, “you could do what you wanted to do” short of breaking the law. 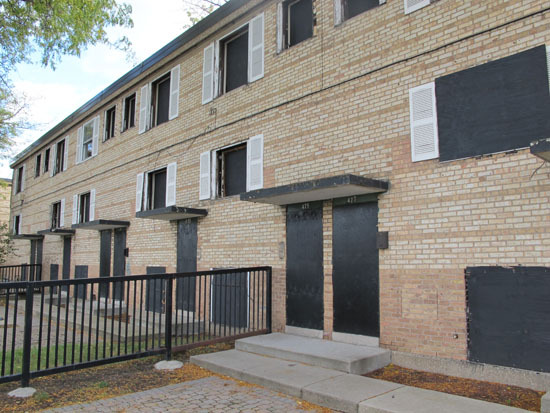 Blackwell said that many public housing residents have complained that “it’s not fair” how stricter housing rules and stricter law enforcement have come to the neighborhood that was theirs for generations. Now it is easier to “get in trouble for any little thing,” Skipper said. Skipper feels that he and his friends are at much greater risk to be taken to prison in the new order of things. Flynn made an effort to take part in his community during his time on the Near North Side. He told the story of the two young girls, Toya and Tasha Childress, and their grandparents, Sheila and Donnell Howard, who lived downstairs from him. They were former residents of Cabrini-Green who had been moved to a unit that was subsidized by the CHA. Flynn said he was a positive role model that the girls might not otherwise have had. He still keeps in touch with the family and he is proud to say that Tasha now attends Indiana State University and Toya just got a job at O’Hare, which she will be starting soon. But Flynn’s story is still the exception. The changes to the Cabrini-Green neighborhood have been difficult for its longtime residents. Flynn echoes what many former Cabrini-Green residents have said when he laments the demolition of the high-rises. “Families in Cabrini-Green knew their neighbors,” Flynn said, comparing it to a neighborhood like Lincoln Park, where similar feelings of connectedness are often much harder to come by. “It was a community that tried to look out for each other despite their horrible surroundings,” Flynn said. The Unity Program clearly has its work cut out for it if it wishes to achieve that sense of community that the longtime public housing residents have lost and what many of the market-rate newcomers may never have experienced at all. An early success, according to Burnett, has been the first Seward Park Jazz Festival that took place this summer at Seward Park on Division and Orleans streets. The Bridge the Gap summer basketball tournament at Seward Park, run by the Chicago Men in Action local community group with support from the Unity Program, has also achieved some progress. Kids from all over the neighborhood and from all backgrounds have found some common ground on the basketball court, Blackwell said. Future plans include a potluck dinner where residents will be invited to bring various ethnic foods. A series of murals is also planned to express the feelings, hopes and desires of the entire community. 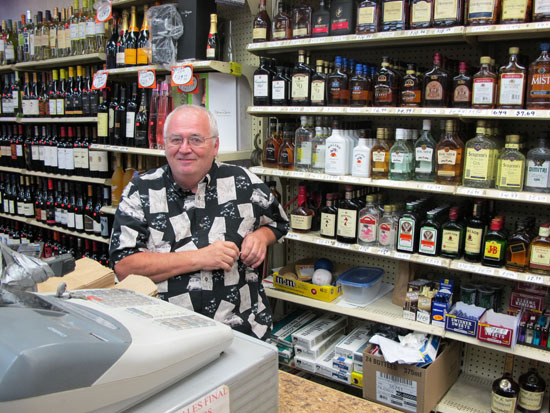 Jimmy Antonetti runs Old Town Liquors on the corner of Division and Wells streets. He has been there for decades, serving a broad cross-section of the community’s tastes with a variety of brands at a various price points. “The neighborhood’s changed,” he said, reflecting on the last five years of development on the Near North Side. Even so, Antonetti’s experiences have taught him some fundamental principles when dealing with a diverse community with diverse backgrounds. “Just be nice to everybody,” he said.